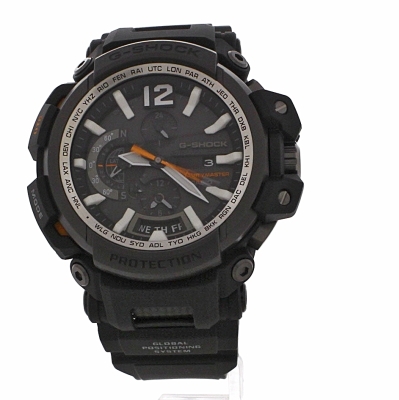 Casio G-Shock Gravitymaster Bluetooth GPS GPW-2000-1AER is a super special Gents watch. Material of the case is Plastic/Resin while the dial colour is Black. The features of the watch include (among others) a chronograph and date function as well as an alarm. In regards to the water resistance, the watch has got a resistancy up to 200 metres. This means it can be used for professional marine activity, skin diving and high impact water sports, but not deep sea or mixed gas diving. We ship it with an original box and a guarantee from the manufacturer.